Whether you are a mompreneur coach, trainer, consultant or freelancer, you live and breathe by your clients, right? More than likely, this is your “bread and butter” so to speak and that makes getting more clients epic to your success. There’s definitely a right and wrong way to go about doing things in business, and I can say that strategy is where it’s at. Throwing things out there to see what kind of results you’ll get, is a good risk but needs to be done in a strategic way. 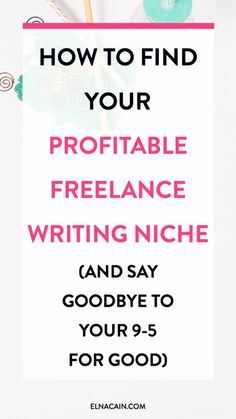 Here are a few tips that will help if you incorporate them with your strategy to get more clients and keeping the ones you already have. Word of mouth is everything in business. People who love your work and are satisfied with the results they’ve gotten from working with you will be more than happy to refer you to others. However, they may need to be reminded to do this. After you’ve spent some time together (or if you’re really gutsy, you can ask for the referral at the beginning of your time together) ask your client to give you the contact information of 3 people that could benefit from working with you. If they can give you an introduction, that would be even better. Additionally, a testimonial will be golden for this and if you can create a referral (affiliate) program where your current clients receive a discount or a small commission for a sale made via their referral, then it’s a win win for everyone. Make this a mental note—you are great to work with and your current clients love you. Most likely, they will stick around- even if your fees are slightly higher. People appreciate value over everything else. I’ve learned that in the past 7 years of playing in the online space. The truth of it is this: we place a high value on our business relationships, at least this is true for the clients you want to work with. And if you can build a strong relationship with your clients, you’ll keep them for a long time. They will be raving fans of yours and spread the word, resulting in free marketing for you. When I first started designing websites, getting clients did not come easy. But even if you get just one person to recognize your gift and value, you’ll be the first one that comes to mind when their friends or colleagues need your services. You should have an email list and an email marketing campaign, whether it’s a newsletter or solo email you send out every week or so. If you regularly connect with your clients, you stay in the front of their mind and not in the back. When they have a need or when someone asks them if they know of a good source to solve their problem, that would be you. There are two approaches to regular client communication and you can combine the two approaches as you see fit. 1. Send your list an email once or twice a week, and highlight a promotion. For example, 10% off any orders of $100 or more for the month of October. You can even create a sense of urgency by adding “for the next 10 orders”. 2. Send your clients a little note or give them a random call when you’re thinking of them. You might say something like, “I saw this article in Success Magazine and I immediately thought of you.” This helps build a relationship with them and it’s a great way to stay connected. As a mom, it can be challenging, especially if you have little ones…. (been there done that and still going through it from time to time). But, you can surely participate in social networking, blogging, and guest blogging for more credibility and visibility. Generate awareness about you and your services. Don’t be afraid to show off your brilliance. One new client can turn into thousands of dollars over the course of a year and they can refer other clients. Give back whenever possible and you’ll receive more in the long run. Be willing to help others in your community even when there isn’t any reward. Whether you believe in the law of attraction or not, when you give to others, they give back. This doesn’t mean you give away your services, that’s not what I’m saying at all. What this means is that you’re willing to help others by providing insight, information, and a listening ear when they need it without expectation. One of the best things you can do to get your clients to fall in love with you is help them with your expertise when they need a resolution. They will appreciate it more than you could ever imagine. The art of keeping clients has to do with building the relationship, and it snowballs into getting new clients. Referrals from your satisfied clients will fill your schedule with your ideal clients fast! Keep the lines of communication open as much as possible. Once you understand the power in networking, it will get easier and you’ll want to do it more, even if you’re an introvert like me. My current situation: I’m connecting with 15 to 20 people on LinkedIn every week, and getting them on the phone. Having these phone conversations has given my business some major shifts over the past few weeks. Not every convo has me doing cartwheels afterwards, haha, but you have to sift through it all and strategically build with the ones that do.